Keith Rose-Innes’ fishing and guiding portfolio is extensive, with 20 years guiding experience and over 32 years fly fishing experience. He has been fly fishing his entire life and following in his Scottish grandfather, Harry Stewart’s’ footsteps who travelled around the globe in the hunt for gamefish. 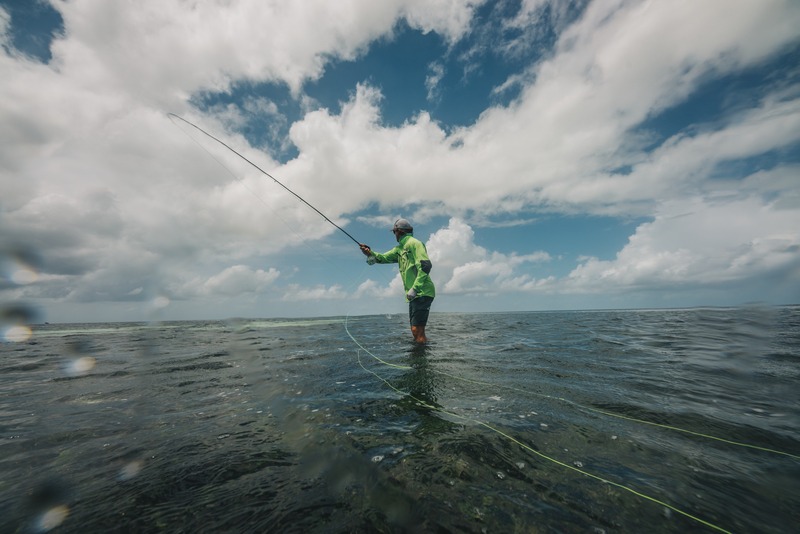 His guiding portfolio extends to over 22 countries and includes 20 years exploring, pioneering, promoting and establishing the remote atolls of the Seychelles firmly in the worlds fly fishing calendar. He was the first to fly fish and guide trips to numerous of the now well-known outer atolls of the Seychelles. His extensive experience in the Indian Ocean has seen him become one of the most experienced GT guides and fly fishermen around, with over 5200 clients and on the fly caught GT’s. His hard GT fighting technique is unique and has been adopted by many guides and anglers over the years. In doing so Keith has worked alongside various fly rod, fly line, hook, braid, clothing and reel companies developing a standard of tackle, gear and rigging that can survive the extremes of casting big flies and fighting explosive gamefish in the tropics. Keith is a game boat Captain and it’s his in-depth knowledge of all different facets of fishing which has helped him become one of the leading GT specialists. His experience extends further than the salt as he spent four years as head guide on the Ponoi River in Russia fishing for Atlantic Salmon. 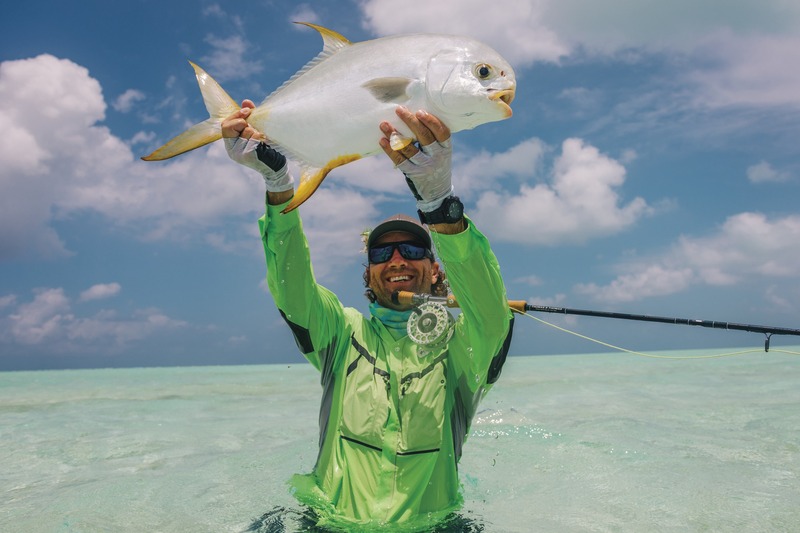 Keith is the Managing Director and one of the founding members of Alphonse Fishing Company, which is one of the biggest fly fishing operations in the world with five different island destinations, namely Alphonse Island, St Francois Atoll, Astove Atoll, Cosmoledo Atoll and Poivre Atoll. HOW DID YOU GET INTO FISHING AND AT WHAT POINT DID IT BECOME YOUR RAISON D’ETRE? I have been fly fishing all my life and learned from four people. First up at the age of five, I began fly fishing with my grandfather, Harry Stewart, a very well known fly fisherman who ran Troutbeck in Zimbabwe and founded Stewarts Fishing Flies and Hairy Fairy Flies. Then there was my father and uncle who are both avid ski-boat fishermen. We lived in a little South African town called King William’s Town, which had two magnificent lakes close by so every single weekend was fly fishing and at times my father would take me twice a week. My final mentor was a guy called Mike Pautz who was a world champion rock and surf angler. I would work in his shop in return for fishing alongside him in competitions and learning from the best in the game. A pivotal point in my life was when I was in high school and my father and his friends invited me to join them on a trip to the Seychelles. 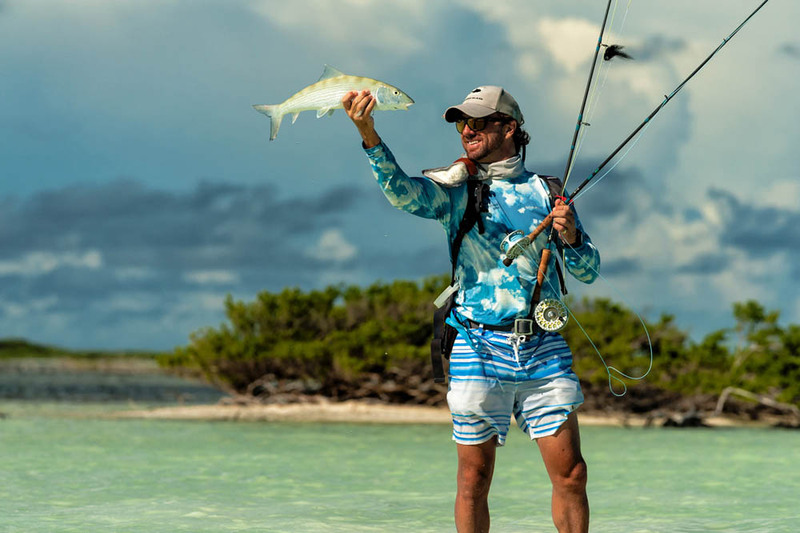 Fishing the flats of St Joseph’s atoll opened my eyes to the possible opportunities that the Seychelles had. At that stage there were no guides in the Seychelles and no fly fishing operations. I didn’t have a lightbulb moment as fly fishing was not really a viable career at that stage outside of the USA. After finishing up my studies I moved to the UK, where I worked at the UK’s oldest fishing store called Farlows. I would guide on private trips in the Seychelles whenever I had breaks until I got the opportunity to work in Russia on the Ponoi river. Over the next 14 years I worked alongside various colleagues in businesses which we started while exploring and pioneering various of the outer atolls of the Seychelles. This was the time when Seychelles became firmly slotted into the calendars of the traveling fly fisherman. Things changed quickly with mismanagement of various destinations and over fishing by spin fishermen (conventional plugging) which had a negative impact on these pristine destinations. The piracy put a hold on this for numerous years and once the piracy issue was resolved there was a sense of stability with less operations fishing the same waters. A second turning point in my life when I sold up my shares and decided that I would never be involved in a fishery that wasn’t responsibly managed. Opportunities presented themselves and five years later we have Alphonse Fishing Company which is managed with one objective and that is to preserve the fisheries we are lucky enough to work at. HOW HAS THE SPORT OF FLY FISHING CHANGED SINCE YOU STARTED? It’s evolved immensely from a gear and protection point of view. We dress completely differently; our rods, reels and lines have evolved to handle the pressure that the different predatory fish place on our tackle. More importantly, fly fishing has evolved to a stage where we are ecologically cautious. 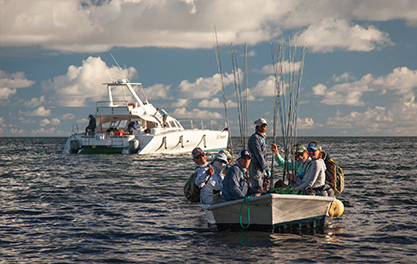 It’s about protecting these amazing destinations by being responsible in the way you manage and treat the fishery.